Bootstrap Business School is a new non-profit organization based in the Tampa Bay Area. Our mission is to transform lives and communities by teaching people how to start their own businesses quickly and cheaply. When new entrepreneurs rise, they bring their communities with them! We go into the neighborhoods that have the most need and run intensive Start-Up Camps. We then put systems in place to support the new entrepreneurs and give them the best chance at success. Every student selected for the program receives a full grant worth $2,500 and is paired with a mentor for the following year. Corporate partners help us provide these essential grants so that the program remains open to everyone. Our approach to starting a business is different from traditional start-up training. We’ve replaced business plans with detailed action plans that give participants step-by-step directions for starting and/or growing a business. Then we show them how to bootstrap their businesses instead of borrowing money or risking their life savings. ​Our instructors are seasoned entrepreneurs and experts in their fields who want to give back to their communities and help other people realize their dreams. We believe that entrepreneurship is for everyone! Annabelle Ship, Founder of Bootstrap Business School, Lead Trainer, started her first enterprise at the tender age of four, igniting a lifelong fascination with business and marketing. As an adult, she spent twenty-five years starting and running a variety of wholesale, retail, and service businesses, all started by bootstrapping. She is certain that she made every possible mistake before finally figuring out how to run a successful company. After selling her most recent business, Annabelle spent the last couple of years working on personal projects and looking for a new direction for her entrepreneurial energy. She's excited that she can now use her successes - and her mistakes - to inspire other people to launch and grow their own businesses. When she's not conjuring up business ideas, Annabelle runs a busy Airbnb, grows organic vegetables, listens to jazz & classical music, and hikes with her husband and dog. ​Lori Hammond, Lead Trainer​, is also Bootstrap Business School’s resident Confidence Coach. She helps people remove the disempowering beliefs and behaviors that keep them from going after their dreams with confidence and joy. Lori has over 2,500 hours of training in Neuro-linguistic Programming (NLP), neuroscience, and neuroplasticity techniques. She has a strong understanding of how the brain works and a special gift for explaining complex concepts in a fun and easy way. Lori runs group coaching sessions, both in person and online, and does private sessions with clients around the world. She helps people handle their anxiety and build the confidence they need to be successful in business and in life. Lori lives in Denver, CO and spends her free time improving her skills in ballroom dancing, painting, and cooking. Alex Rodriguez, Guest Speaker - Sell You Personal Branding Workshop helps successful companies raise their visibility, transform their brand, and attract more business. He specializes in attractive launch campaigns for brands, events, products, and ideas. For over two decades, he has developed successful online experiences for renowned brands such as Disney World, Disney Land, SeaWorld, Busch Gardens, Herschend Family Entertainment, HSN, Publix Supermarkets, Sony Music Entertainment, AB InBev among others, and many of these have produced millions of dollars in sales in record periods of time. Alex has produced strategic digital content for clients in 4 different continents and three different languages (English,Spanish, and Mandarin). He is the author of Digital BACON and Sell You Before You Sell. Allen Clary, Guest Speaker - How to Pitch Workshop is currently Director of Investor Relations with the Tampa Bay WaVE Startup Accelerator, and Adjunct Professor of Entrepreneurship at the University of South Florida. Allen has coached dozens of early stage companies and serves as a pitch event judge several times each year. He has launched or been a part of several startups including Jibidee, an award winning web application for personal organization and productivity launched at TechCrunch Disrupt 2008. Over the last 10 years, Allen has been directly involved in helping raise more than $20M in angel and venture capital for his ventures and others. He serves on the Board of Advisors to the USF Center for Entrepreneurship where he also received his MBA and was awarded Entrepreneurship Outstanding Alumni of the Year in 2013. Ben Walker, Guest Speaker - Entrepreneur of the Day, is the Founder and CEO of Buyer’s Point, a leading source of Low Voltage Wall Plates and Accessories. Ben holds an MBA from Oklahoma State University and studied business management at the undergraduate level. Walker’s well-earned business acumen is matched by a natural entrepreneurial spirit and impressive work ethic. After gaining experience as a financial analyst and audit manager, Walker founded Buyer’s Point in 2010 in an effort to pay off his student loans -- all while balancing his existing full-time career and attending graduate school. He started the company with only $50. Buyer's Point has since grown to one of the Top 10,000 sellers on Amazon. Chinyere Sam, Guest Speaker - Entrepreneur of the Day, has been a competitive athlete since she was 8 years old. She competed on the track & field team at her elementary and high school in Guyana, and became a leading athlete with the Utah Valley University track team. Chinyere is a Certified Aerobics Instructor & Personal Trainer with endorsements for Step Aerobics, Kickboxing Aerobics and Group Exercise by the International Fitness Association (IFA). Chinyere worked as a professional trainer for 10 years in New York City but now lives in Tampa, FL where she is continuing her career as a trainer offering One-on-One, Boot-Camps/Group sessions and Nutritional support for all her clients ranging from children to seniors. 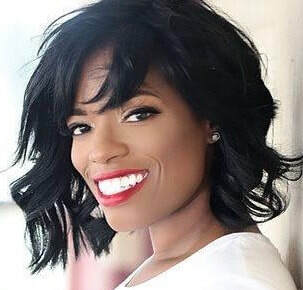 Danielle Bayard Jackson, Guest Speaker - Public Relations Workshop, is a co-founder at STRIDE Media Group, a Tampa-based public relations and video production agency. After seven years as a high school English and journalism teacher, Danielle worked as a social media and public relations specialist for a tech marketing agency. Soon afterwards, she served as a publicist for a national non-profit before deciding to begin her own agency. STRIDE Media Group caters to women- and minority-owned businesses, as Danielle is passionate about getting underrepresented groups the shine they deserve. Learn more at www.stridemediagroup.com. David Holewinski, Guest Speaker - How they Buy, How You Sell Workshop, is an entrepreneur who currently resides in the Tampa Bay area. Over the past fifteen years he has started and grown three successful businesses and sold two of them. His latest startup, Sales in Motion, is the creation of over twenty-five years sales experience with a focus on sales leadership. His passion is empowering individuals and organizations to grow their business by applying authentic sales principles that challenge current beliefs and programming in an interactive fun environment. ​has 14 years of experience in real estate and construction management and development, and 16 years of experience working at the executive management level. In addition, he oversees property leasing and project management of affordable rental housing units across four sites, and leads contract negotiation and management for the THAP Group Construction Collaborative of 15 construction-related enterprises. Derrick is also an experienced Entrepreneur and Bootstrapper with a great story to share. He leads the entire THAP Group as CEO where he helped build and develop the region’s only co-working and incubator space for predominantly minority entrepreneurs, the 5508 Co- Working and Collaboration Exchange located in East Tampa. Donteacia Seymore, Guest Speaker - How To Bring a Product to Market Workshop, is an American inventor and award winning innovation strategist. As a product junkie, serial entrepreneur, and giver of lyfe, she is the founder of The Product Yard, a remote product development firm where she works with aspiring inventors to help them build their inventions. With a renaissance approach to innovation, Donteacia is working to dispel the myth that tech is sexier than the exciting new products we encounter each day. As a writer, public speaker, and innovation enthusiast, Donteacia is inspiring a new generation of inventors to be bold and disruptive...and to do it on their own terms. She is also the brains behind Founders Brunch, a bi-annual brunch where founders from all over the country come to fellowship and collaborate on exciting new ideas. She has coached hundreds of entrepreneurs and small business owners on strategy and development, and has helped them raise nearly $1M for their amazing ideas. Ebone Cruz, Guest Speaker - Leveraging Social Media Workshop, is a high energy entrepreneur, coach, and motivational speaker. Ebone is obsessed with helping women business owners increase sales by focusing attention on how they can lead with more influence and impact. She’s driven to help women in business so much that she’s created The Best Women 365 group, so that those who join can surround themselves with like-minded business owners that not only encourage you but share with you what’s working for them! She’s also the proud owner of the non-profit organization Hat-Attitude, Inc. where she aims to empower women of all ages. With an MBA and background in marketing and motivational speaking Ebone has worked with small & large teams throughout several industries. When she isn’t speaking or coaching clients, she enjoys traveling, motherhood, and collecting fabulous shoes! Georgia Kinsey, Guest Speaker - Entrepreneur of the Day, is the owner of Kinsey Travel LLC, an independent travel agency based in Florida. Her outgoing personality, desire to help others, and reputation as a "people person" prompted Georgia to pursue her love for travel and cruising. Georgia is a certified cruise expert and has achieved numerous cruise line certificates. Georgia was industry certified as an elite cruise counselor by the Cruise Lines International Association (CLIA), the world's largest cruise industry trade association. She has also received numerous prestigious recognitions and diplomas in destination travel, including being recognized as a 2019 STAR Program participant at CruiseWorld for her strong commitment to professional development. Georgia has now positioned herself as a guide, support and mentor for others who want to be independent travel agents. Jay Kamhi, Guest Speaker - How to Sell on Amazon Workshop, Entrepreneur of the Day, is a veteran novelty item manufacturer, who produces funny, original pop culture toys and novelties that talk, move or light up. The creator of the talking/singing pen, Kamhi got his start 35 years ago as a NYC street vendor and grew to have his products in many major store chains— including Wal-Mart and Target. Kamhi made his first big splash with the Napoleon Dynamite Talking Doll. Next, Kamhi began creating talking toys based on the outrageous characters from popular TV shows and movies such as Toy Story, Shrek, Family Guy, The Simpsons, Hannah Montana, 40 Year-Old Virgin and many others. In 2015 Kamhi successfully launched his line of funny novelties exclusively on Amazon and grew the revenue to almost two million dollars a year. His Donald Trump Talking Pen became the #1 selling toy on Amazon in 2016, and he’s created another 12 bestsellers since then. Kamhi’s products are available at Amazon.com. Jen McDonald, Guest Speaker - Insurance 101 Workshop, entered the insurance world while a student in the Risk Insurance and Healthcare Management program in the Fox School of Business at Temple University. She was relocated to Tampa by the Travelers Insurance Company as a Middle Markets Property and Casualty Underwriter in 2003. In 2010, looking for a new challenge, she transferred into the newly created Select Accounts Inside Sales Representative role. In 2013 Travelers moved both of those roles out of the state of Florida. Jen took the leap of faith onto the agency in 2014 and has not looked back since. As a part of her growth strategy she is a member of the Board of Directors for NAIFA Tampa, Historic Hyde Park Neighborhood Association and EKHOS. She is also an ambassador for The South Tampa Chamber of Commerce and Working Women of Tampa Bay. Jen enjoys working with entrepreneurs and helping her clients understand the why behind the coverage. Leighton Kyler, Guest Speaker - Entrepreneur of the Day, is brilliant and masterful as a Peak Performance Strategist, Leadership Hacker, Speaker, and Coach. His brand is "Next Level” specializing in Sales and Leadership Technologies. Leighton is well versed in sales, business, accounting, operations, CRM technology, and leadership as an Enterprise Architect. He earned an MBA in Finance and Operations with over 25 years of experience. Leighton possesses a host of sales, technology, and leadership recognition, awards, and certifications.His purpose principle is helping others and businesses overcome blockers moving them into alignment to achieve and become more than they ever thought possible. Leighton globally implements his Train-the-Trainer sales and leadership leading technologies as he works with Corporate Leadership, Visionaries, Thought Leaders, Innovators, Entrepreneurs, and Companies to maximize return on investment for human capital. He pioneered new markets and industrials for companies such as Paul Mitchell® and Microsoft®. His enthusiasm is contagious as he uses his gifts to serve his family, businesses, and his communities giving all the Glory to God. Most recently, Leighton teamed up with Ariel Business Group, Inc. to be its Chief Revenue & Technology Officer. Marcea Cazel, Guest Speaker - Facebook Advertising Workshop, is a social media specialist who has been working in the marketing and branding field for over 15 years. A graduate from the University of Central Florida with a degree in Advertising/Public Relations, she also holds a certificate in social media and Facebook Ads from the Social Media Manager’s School. Working for national companies such as Chevrolet, Whole Foods Market and Microsoft has helped Marcea learn how to market to a wide variety of customers on a B2C and B2B level. Currently freelancing with her company Cornacopia Marketing, Marcea lives on the west coast of Florida and enjoys exploring her local community, working on her travel blog MyCornacopia.com, reading and spending time with her family. Nina Grace, Guest Speaker - Entrepreneur of the Day, is the Founder & Creative Director, of Grace Studio. By beginning her career in the world of Information Technology, Nina has a unique perspective on what it takes to market and grow a business. She has since turned her focus towards supporting businesses from a visual marketing perspective as the founder and Creative Director of Grace Studio - www.gracestudio.co - the only photography & video marketing studio whose mission is to support and promote locally owned businesses. Suzanne Butler, Guest Speaker - Ask a CPA Workshop. Following a career in various accounting, auditing, and supply chain roles, Suzanne left the corporate world in 2016 to start her own CPA practice in Dallas, Texas. She has volunteered for organizations such as AIDS Interfaith Network, The Human Rights Campaign, Irving Flood Control District #3, Volunteer Income Tax Assistance, and Literacy Institute for Texas. For fun, she likes to build spreadsheets, travel, exercise, and eat Tex-Mex in her Dallas neighborhood. Suzanne is also a founding board member of Bootstrap Business School and acts as Treasurer for the organization. Vicki Cook, Guest Speaker - Tweet for Business and Blog for Business Workshops, is the co-founder of Women Who Money and Women's Money Talk, and the founder and blogger behind Make Smarter Decisions. She’s a regular contributor to GOBankingRates as a member of their #SmartMoneySquad and a frequent contributor to a variety of personal finance sites around the web.Vicki holds a doctoral degree in Educational Leadership from the University of Rochester. She’s been a high school science teacher, a school administrator, and a college professor in her almost 30-year career as an educator. Vicki's also passionate about health and fitness and runs a Facebook group with over 700 people focused on wellness as we age. When she’s not working out or blogging, you’ll find her reading, learning from an online course, or plotting her next travel adventure.